DecEzy allows you to import item price lists, automatically setting up the vendor, brand, items, sizes, colors, and all associated costs (or vendor prices). To import a price list, you first of all need to purchase one (or more) from Bruma. The available price lists are displayed below. If the price list you are after is not listed, please contact us. Once the purchase has been made, the file will be made available within the item cost management section within DecEzy. Valid At – The last date that an update was made to these prices. Purchase Price – Price to purchase this price list from Bruma. This includes the first year subscription. Subscription Price – Yearly subscription price for updates to this price list. Item Count – Number of items in this price list. SKU Count – SKU is an abbreviation of “Stock Keeping Unit”. If an item has 5 colours, and 5 sizes, then the item has 25 SKU’s (one for each colour/size combination). This is the number of total SKU’s (for all items) in this price list. 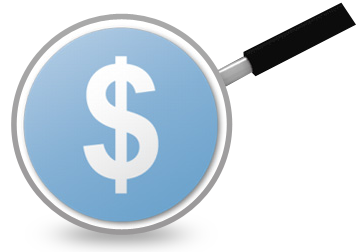 Cost Count – Cost is your purchase price from the vendor. This column contains the number of distinct costs within this file. If there are more costs than items, it usually means an item has different costs for different SKU’s (sizes or colours), or that this vendor gives bulk discounts. Barcode Count – Number of barcodes in the file Please note, these will only be available if the vendor has made them available. Please note that we offer a 10% discount if you order $300 worth of item data, and a 15% discount if you order $500 worth of item data.